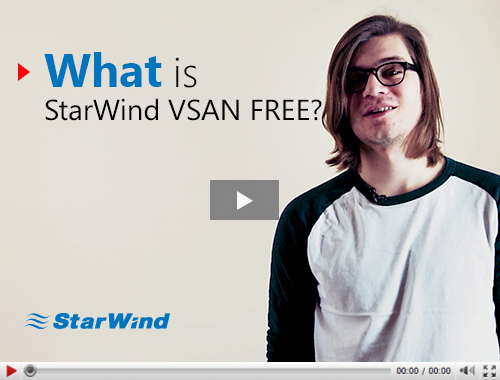 This video tells about StarWind Virtual SAN Free. When using it you should store your virtual machines on SMB3 or NFS. It can be deployed only “compute and storage separated” and has just basic features which makes it restricted and constricts the use cases as compared to the paid version. However, you can still run your production with it, which is not typical with software free versions.